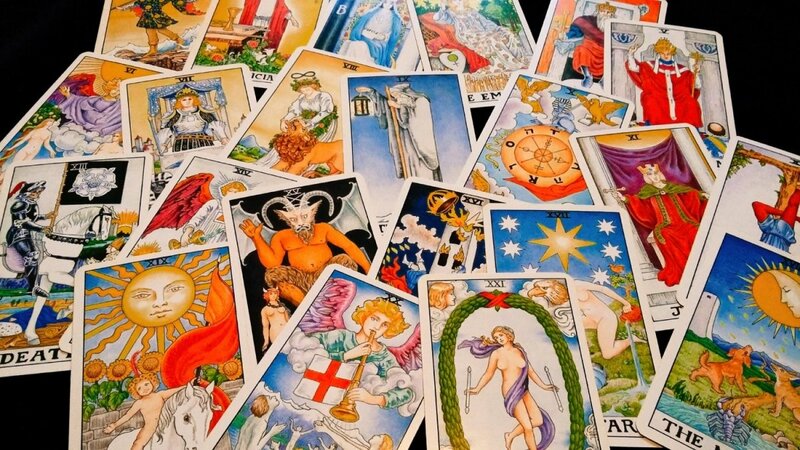 You love tarot. I know you do. But learning it is hard, and all those lovely tarot books are so expensive. Sometimes all you want is to draw a card and have an instant answer. Especially when it comes to making decisions about money and finances. You’re short of cash, what can you do? You expected a pay raise, is it about to happen? You are almost certain you will have to pay a large bill for your car repair. You need to know these things and you need to know now. So here’s my quick guide to tarot and money. As always, never base any decision, financial or otherwise, on the turn of a card. 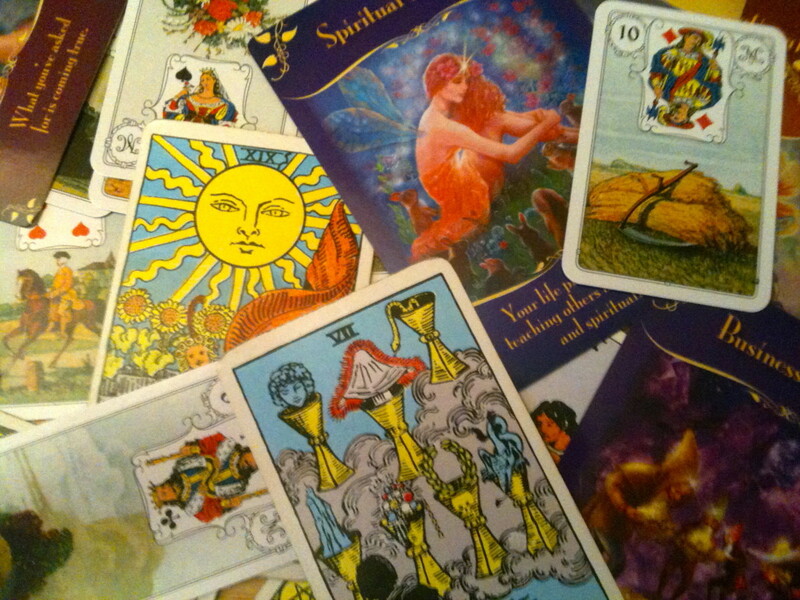 Tarot reading in general, and advice given here, is for entertainment only. With that said, grab your cards, formulate your question, shuffle, and draw a single card. That will be your answer. Don’t keep pulling cards; that doesn’t work unless you are up for doing a full-on, in-depth reading. And who has time for those these days? You’ll only need to draw a second card if the Wheel of Fortune shows up. 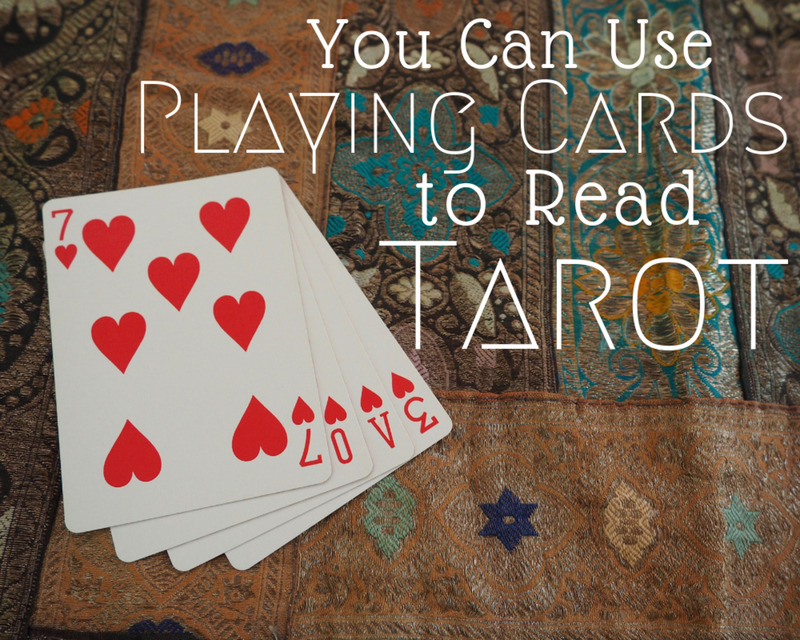 If you haven't got a tarot deck, and you are reading this on a touch-screen device, try closing your eyes, asking a question, and moving the screen. Then place your finger on the screen. Open your eyes. Whichever card in the list you landed on is your answer. Fool: If you have been hesitating: take a risk. If you are just about to rush into spending money without thinking it through—hold back. The Fool is both encouragement and a warning. You know which applies to you. Magician: You’ve got this. You have all the skills and intelligence to make it happen. Go for it. High Priestess: Stop. Wait. Don’t spend any money right now. Wait for the right time. Trust your intuition. Empress: Abundance and all good things are headed your way. The promotion, the increased bank balance. All working in your favor. Emperor: You need a budget. A strict, organized, firm budget. Don’t wait, get it done. Hierophant: Find the financial guidance you need. There is help available. It might be a person, it might be a website. It’s there for you. Lovers: Got to make a decision. You’re in an either/or situation. It might be life-changing, so consider your options carefully. Chariot: Keep a tight rein on your finances. If you are in control of your money, you are in control of your life. Also this card may be related to a vehicle, a journey or other transport requiring a financial outlay. Strength: It might be tough right now, but remember that it always works out. You have unlimited inner resources. Hermit: Time to get reclusive. Pull in your spendthrift tendencies, hunker down until the crisis has passed. Wheel of Fortune: Prosperity can come and it can go just as easily. Pull another card for clarification. Justice: There could be paperwork, a legal matter, a contract, or something else to sign related to finances. Hanged Man: Relax, don’t fret. You can’t do anything about money right now. Adopt an allowing frame of mind. You will know when it’s time to act. Death: Something big is ending. Change of job/career? Expect to have a total revamp of your finances. Temperance: It’s all about keeping it in balance. Right now, don’t spend more than you have. At the same time, you have to let the money flow sweetly; in and out. Devil: You have become obsessed with money. Or perhaps some really bad habit that is costing you money and peace of mind. Only you can make the necessary change to obtain freedom. Tower: Sometimes you have to let it come crashing down. Stand back, breathe deeply and wait until the worst is over. Pick yourself up and start again. It’s only money. Star: There is always a better future to look forward to. Cultivate an attitude of gratitude and appreciation; abundance will follow. Moon: You have to pick your way through very carefully. Pay attention to your hunches, but don’t be fooled by taking a wrong turning. Caution is advised. Sun: It’s all going so well. Your boss loves you. Money is flowing nicely. You haven’t a care in the world. Enjoy it; it’s temporary. It’s always temporary, good or not-so-good. Judgment: You understand what you need to do. It’s clear the direction you must take regarding your finances. It’s as if you are being called forward. World: Stay right where you are. You are in the right place for now. Things are happening and the Universe is busy lining it all up for you. You’ll know when to strike out for the next level, just keep the faith. 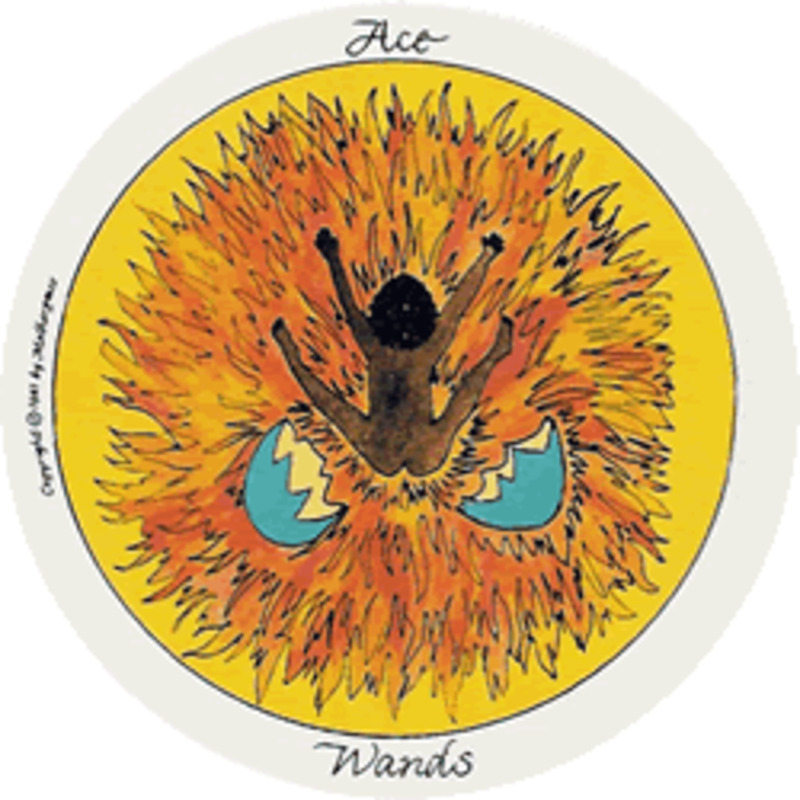 Ace of Wands: You are inspired. You have an idea for a new endeavor. You have the energy to move it forward. Just go with it. Two of Wands: It’s in the planning stage. You may feel frustrated that your efforts aren’t bearing fruit yet. The rewards are coming. 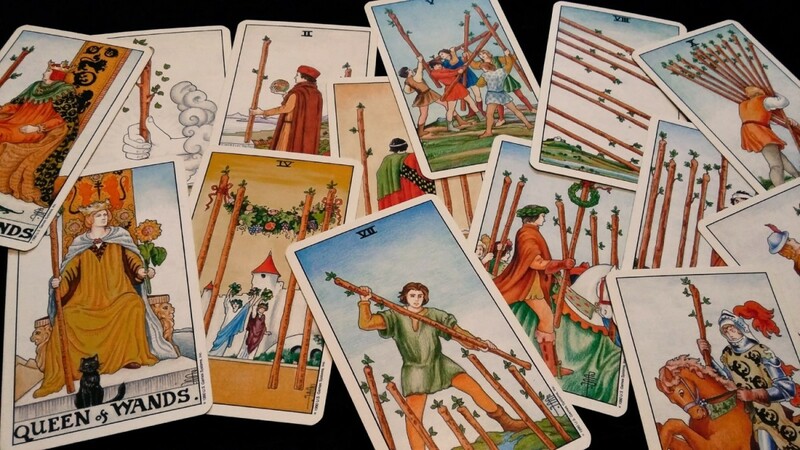 Three of Wands: You are confident that what you have done so far will deliver the financial returns expected. In fact, they may well be better than expected. Four of Wands: Splash out on a celebration. It will be worth it. You might even make some rewarding connections. Five of Wands: Too much competition? You have to devise a USP. What can you offer that the rest can’t? Six of Wands: Yay! You achieved a goal. Perhaps got the promotion you wanted, or attained a qualification. You have invested time and effort into your future prosperity. Keep going. Seven of Wands: Feeling under stress right now? Don’t cave in. Chin up and carry on fighting for your beliefs. Money is not the important issue. Eight of Wands: Energy is moving fast, and that includes money-energy. The key is to be as organized as you possibly can be. Get your budget balanced. It will stand you in good stead later. Your future self will thank you. Nine of Wands: Had a bit of a money thrashing lately? Perhaps you were taken unawares? You lacked contingency funds. You can keep going, but do make an effort to keep it together. Ten of Wands: Carrying debt? Here’s the trick. Pay off the smallest one as fast as you can. Add that payment to the next debt and pay it off even faster. And so on until you have discharged your obligations. Page of Wands: You are eager and ready to splurge, or invest in some new scheme. You need advice - fast. And listen to it. Knight of Wands: You’re a gambler, an entrepreneur. It doesn’t matter how often you get your fingers burned, you are still ready to take those risks. And they are risks. A little maturity would be helpful. Queen of Wands: Yes, you want that purse. And those new shoes. And that vacation. Maybe you should appreciate what you already have? King of Wands: You are pretty sensible most of the time, even so, you occasionally succumb to an impulse buy. How has that worked out in the past? Ace of Cups: Hold the feeling that all is well in your heart and soul and it will be so. Two of Cups: An exchange of money or gifts. A delightful encounter from which you will benefit. Three of Cups: Sharing resources, a free meal, or a pot luck dinner. Four of Cups: You can try to ignore your problems, but things will just get worse if you don’t deal with them. Now. Five of Cups: You feel awful at the moment, but it’s not as bad as it first appears. You’ll be able to get through the quagmire. Six of Cups: Your past brings forth a gift in the present. An old friend repays a long-forgotten debt. Or you do. Seven of Cups: Too many choices can cause you to be scattered. Focus on one thing and deal with it, whether it be a task, a project or a debt. Eight of Cups: You may have to decide between love, money and/or security. Nine of Cups: Don’t sit in solitude with your wealth; throw a party. Ten of Cups: You and your family may not be wealthy financially, but what you do have is worth far more than gold. Page of Cups: Follow your bliss and do what you love. You will always have enough money. Knight of Cups: Don’t focus on the money; love is more important. However, it’s good to educate yourself in money-matters. Queen of Cups: You might feel like handing the financial reins over to someone else to take care of. Yet, you should be money-savvy enough to manage if necessary. Keep records. King of Cups: It takes a massive effort for you to even think about money. Yet you have to take control. There’s no-one else to do it. Ace of Swords: You suddenly know what you need to do. You have clarity and understanding. Now you must act on your new-found knowledge. Two of Swords: Stop pushing those bills into a drawer. It’s time to face up to your money problems. They might not be as bad as you think. Seek help and advice. Three of Swords: Miscommunication is at the bottom of many financial issues. Untangle the confusion and deal with your mistakes. Four of Swords: Worrying about money causes stress. Take a short nap. Relax for a day. Then come back renewed, ready to tackle whatever needs to be dealt with. Five of Swords: You have been cheated, lied to, and given the brush-off. Or you are the one doing those things. Depending into which camp you fall, it’s time to put things right. Six of Swords: It might not feel like it, but you have turned a corner and are on the way to recovery. Money is short, but with careful management, you can get through this. Seven of Swords: You’ve made a loan and the recipient hasn’t repaid it. You might be the victim of theft. Take care of your cash, wallet, cards and information. Identity theft is not pleasant or easy to overcome. Eight of Swords: You’ve got yourself in a bit of a financial hole. You don’t have to remain there. Little-by-little, step-by-step you can get yourself out of it. Nine of Swords: Your finances or lack of them are causing terrible anguish. Stop. It’s just money. Nothing is worth this self-inflicted pain. Stop over-thinking, stop the self-blame and ask for help. You can deal with this. Ten of Swords: You might be facing bankruptcy. Or the loss of your home. Or you’ve been fired. It’s okay. See this ending as the portal to a new life. You’re on the brink of a new beginning. Page of Swords: You bring fresh ideas, new perspectives on old situations. Like a breath of fresh air. Knight of Swords: You are savvy, current, and have an instinctive understanding about business and finances. Keep going, you’re doing fine. Queen of Swords: Frugal and clever, you know how to stretch a little into a lot. Build on your knowledge, you can take this even farther. Maybe there’s a career in your frugality? King of Swords: You’re the professional. You command a good salary. Money hardly bothers you. Ace of Pentacles: A prize or a gift is on its way to you. It may be a dollar, it could be a lot of dollars. Be open and ready to receive. Or you might be involved in a new project — a business start-up maybe? Two of Pentacles: You are constantly moving money around. Robbing Peter to pay Paul. You are adept at juggling, but you could help yourself by making radical changes to the way you do things. Stop over-spending at least. Three of Pentacles: You are careful about money. You are cautious and clever. You take advice but you weigh up the options before acting on it. Four of Pentacles: Don’t let life pass you by because you are hanging onto your resources. Life is for living. Five of Pentacles: It’s tough right now. You don’t know where to turn. There are people who are able to help you and you have to reach out to them. Six of Pentacles: Your generosity and kindness shows you are a compassionate angel. However, don’t forget to look after your own and your family’s needs as well. Seven of Pentacles: It’s all going very well. You have acquired excellent financial habits over the years. It might be time to splash out on a vacation, or to invest some of that wealth into your own development. Eight of Pentacles: You have your sights set on your future. You know that by investing time and effort now, it will all pay off in the long term. Nine of Pentacles: You re in the enviable position of being financially independent or at least in a comfortable position, money-wise. Ten of Pentacles: You’re involved in a family business. Or you are due to receive an inheritance. Or you are lucky enough to have a wealthy family. Good on you. Page of Pentacles: You may be at the very beginning of your career. Perhaps still in school. Cultivate good financial habits now. Always salt away 10% of all money that comes to you and you will be a millionaire by the age of 40. Knight of Pentacles: Your financial well-being is based on hard work. You are careful, yet not averse to spending when necessary. Queen of Pentacles: You like to create security. For yourself and your loved ones. You are the one people turn to for advice. King of Pentacles: You are now reaping the rewards of the hard work you put in when younger. You have a good business head and no-one will ever get the better of you. Enjoy the best things in life, but remember to share your canny financial wisdom. Pay it forward. 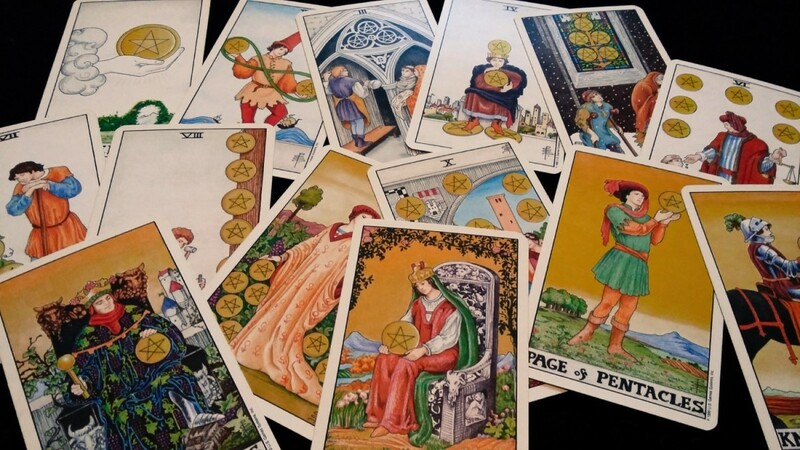 Any Questions on Tarot Cards and Money? If you have any questions regarding the cards and your financial outlook, please ask in the comments section below. 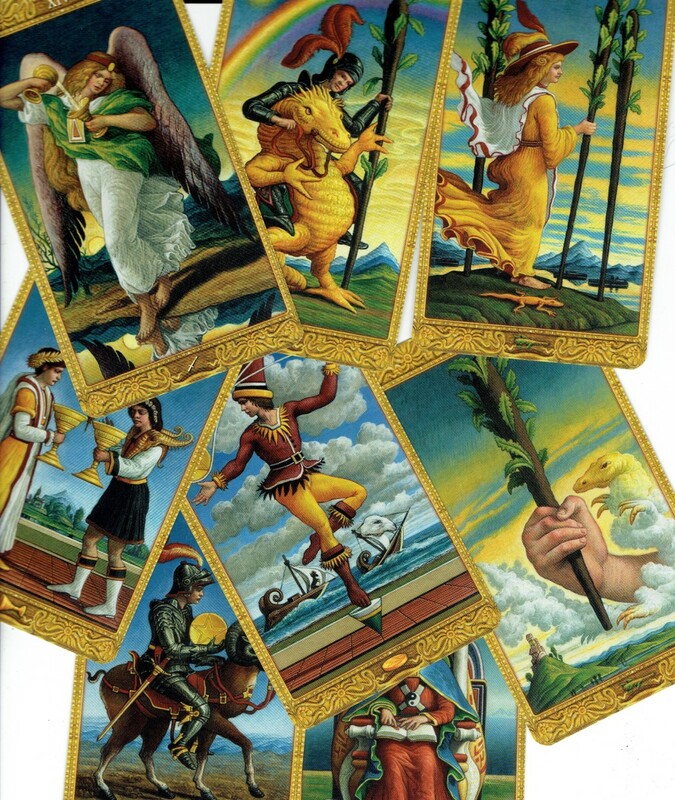 The tarot deck used for illustrating this article is the very lovely recoloured Universal Waite Tarot Deck. It's getting on a bit in years, but still brings a nice fresh feel to the traditional Rider-Waite deck. Originally drawn and colored by Pamela Coleman Smith, it has been revamped by Mary Hanson-Roberts. 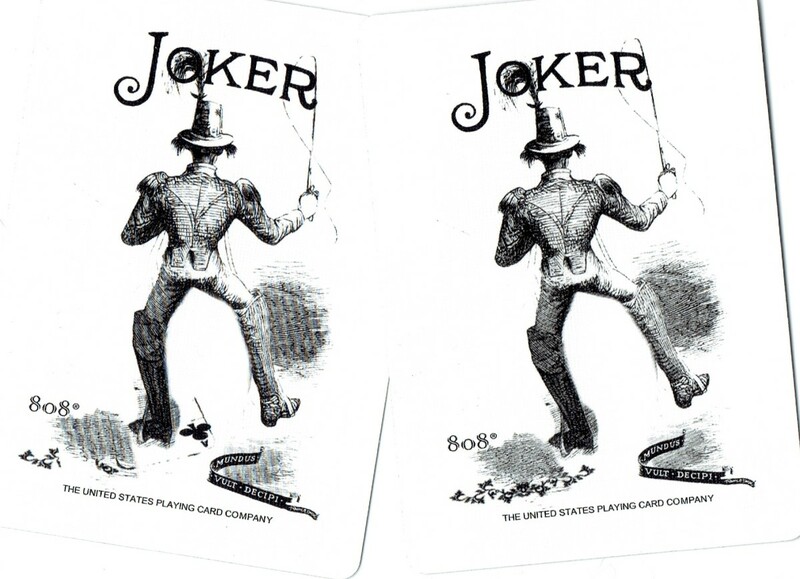 Published by U.S. Games Systems Inc. I drew one card only, after meditating on whether I should ask for a raise in my review. I got the three of cups reversed. What would you say? Personally, when drawing one card, I would ignore reversals because it all depends which way you were holding the deck when you flipped the card. Three of Cups: go for it. It's a lovely card which shows you that you are all on the same side. There's no 'us' and 'them' in a working situation. Hold the energy of the card within and be confident that your request will be heard and acted on. Sounds like it was part of a larger spread? I can't interpret cards in isolation unless they are one-card readings. i got Page of Cups in outcome position in my drawing about my job ? What does it saying to me ?!! Yes, Jessie, we call it 'magic', but it could be something else. Some kind of particle symbiosis maybe? Thanks for your thoughtful comment. I've played with many types of cards in my day and I'm a very rigid scientific thinker. But there's something about the drawing of a card, after having payed attention to each draw I've ever made be it poker or magic the gathering, that begins to look less and less like mere chance. I have thought deeply about symbols and Jungian archetypes. 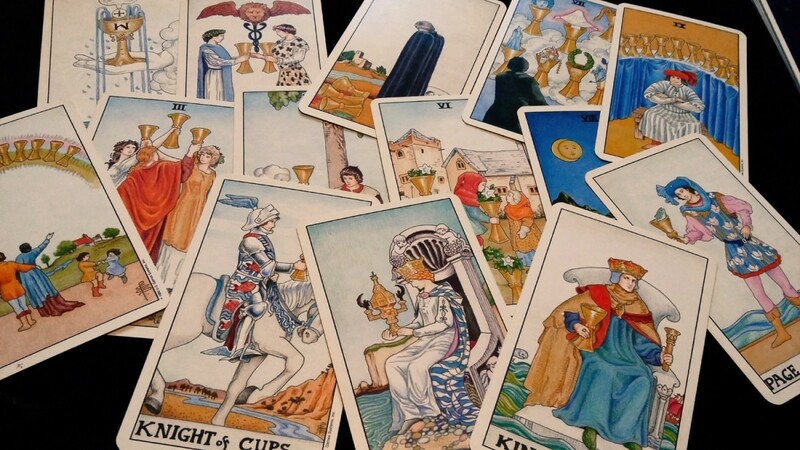 Those do in fact carry a lot of meaning but there's also something strange about the patterns that arise out of interacting with the cards themselves. 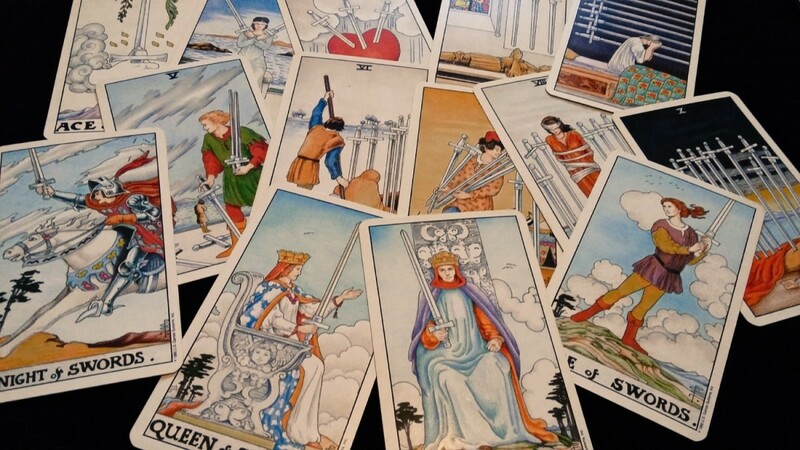 Tarot has been unbelievable accurate at times and it's hard to ignore that. 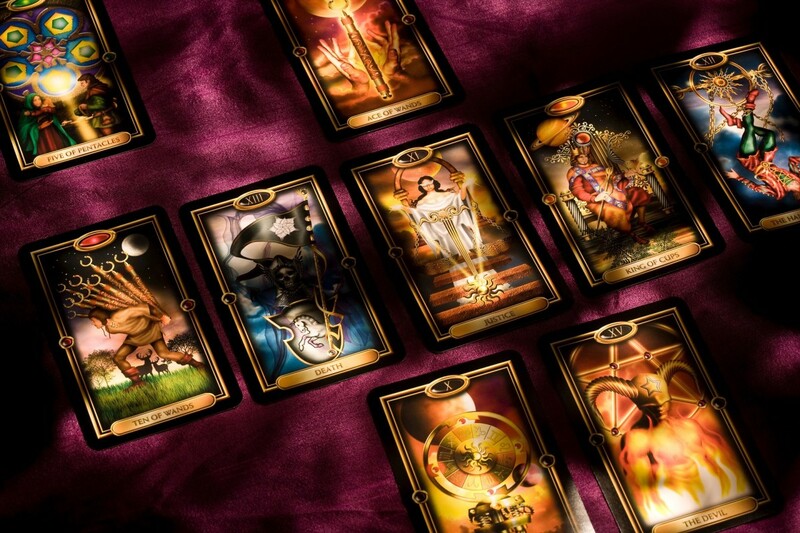 Great information on using the tarot for financial insights..thanks !